This is the Late (Griffon) Seafire Pack (F.Mk XV through F.Mk 47) SAS Edition, consisting of the Seafire F.Mk. XV, Seafire F.Mk. XVII, Seafire F.Mk. 45, Seafire F.Mk. 46 and the Seafire F.Mk. 47. This pack will receive further updates to fix some minor glitches (e.g. 3D fixes), but it's ready to use and provides full functionality already in it's current state, so feel free to use it now and be prepared for updates in the future. Please take care to read the readme.txt included and listed below before installing this mod and make sure your system meets the mandatory prerequisites! prepared for updates in the future. running in order to use this mod. SAS Modact 5 since this meets all requirements by default. rename file "SeafireLate_FM_410" to "SeafireLate_FM"
Original 3D & code by 1C/Maddox. Based on Griffon Spit 3D by Zorin, Seafire 3D by SAS~Anto and Red_Fox90. Default skins by Nightshifter, modified by SAS~Storebror. Technical information by Jafa, Birdman, Docholiday, Red_Fox90. Prop meshes on some models by PA_Jeronimo. Some 3D modifications (Mk. XVII), basic FMs and textures by ton. A whole lot 3D bugs fixed by Birdman, F.Mk 46 and 47 reworked by Red_Fox90. ordnance options and FM changes by SAS~Storebror. Enjoy and redistribute FOR FREE! This is a joint operation of a whole lot of modders, I just contributed a small part to it, credits belong to those listed above. Very Cool Thanks Mike & All! Would be nice if you could show us what is in your logs.lst, and please don't forget to install this mod: http://www.sas1946.com/main/index.php/topic,19308.0.html in advance because otherwise your log contents will likely be truncated. I was too hurry with deleting current broken install. Reinstalling now. Great work guys. I love that 47.
i would like to ask a noobish type question at this point - in what theatres were these operational, historically? Post war, the Fleet Air Arm replaced its Merlin powered Seafires with Griffon powered aircraft, initially with the Seafire Mk XV and Mk 17 and from 1948 by the definitive Seafire Mk 47. In 1950, Triumph started a tour of the Far East, embarking 800 Naval Air Squadron with Seafire 47s along with 827 Naval Air Squadron equipped with Fairey Fireflys. 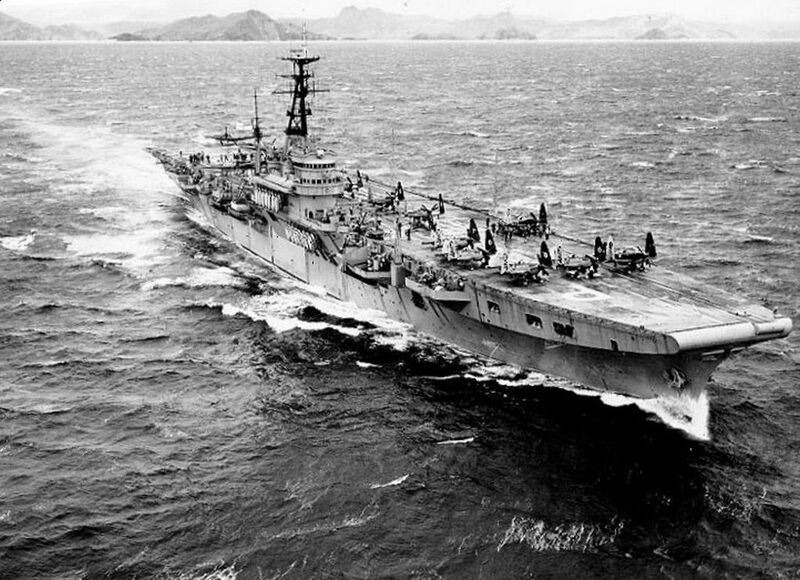 Following the outbreak of the Korean War, Triumph was diverted to operations to try and stem the North Korean offensive, Seafires flying ground attack and combat air patrols from July until September 1950, when Triumph was replaced by HMS Theseus, equipped with Sea Furys. During operations off Korea, Seafires flew 360 operational sorties, losing one aircraft shot down by friendly fire from a B-29 Superfortress and a second aircraft lost when its arrestor hook failed to extend. The Seafire proved more vulnerable to the stresses of carrier operation with many aircraft suffering wrinkling of the rear fuselage brought about by heavy landings. Following the end of operations, when peacetime airworthiness rules were re-imposed, all but three of 800 Squadron's Seafires were declared unserviciable owing to wrinkling. After HSFX reinstal everything works right. I used same diff_fm.